The American Pika could be one of the first high alpine animals listed as endangered because of climate change. The Center for Biological Diversity is a nonprofit that aims to protect species that are in peril though public outreach and through existing laws. They are working to get the American Pika listed as endangered under the federal Endangered Species Act and the California Endangered Species Act. After petitions in October and August of 2007 were filed and no action was taken the center brought two lawsuit in 2008 (one against the California Fish and Game Commission, and one against the U.S. Fish and Wildlife Service) to “compel the agencies to protect the American Pika” according to the center’s Web site. Shaye Wolf, staff biologist for the center, is working to protect the pika because she believes it is endangered by climate change. “Species and ecosystems in high elevation areas stand out. The pika is like the canary in the coal mine. Pikas are early warning indicators,” she said. One reason that pikas are in danger, she said, is because they have a very high body temperature normally. This high body temperature if raised only a few degrees can cause the animal to overheat and die. “Pikas can’t withstand exposure to high temperatures,” she said. Another reason is the “popping of the mountain effect.” Essentially as temperatures rise, pikas will move up the slope of the mountain where it is colder. Eventually, the pikas will not have anywhere to go. 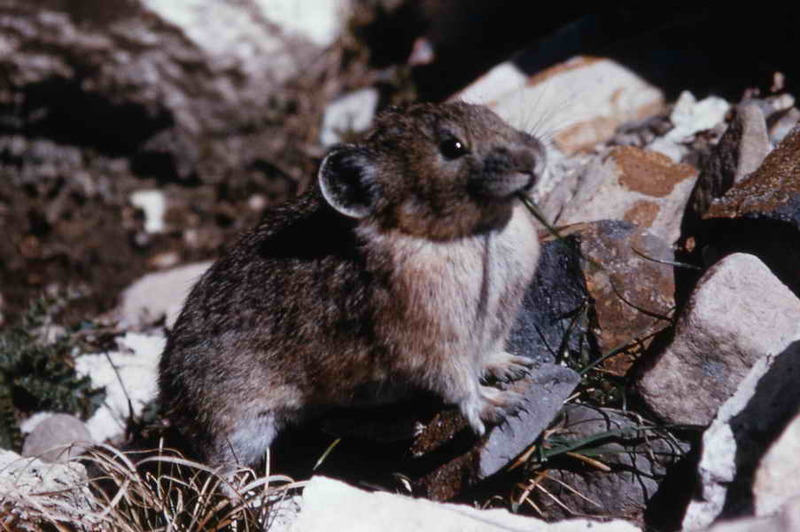 However, there are populations of pikas that have managed to survive at much lower elevations. In Nevada, a population of low dwelling pikas was found. But Wolf says that doesn’t mean all sub-species of pikas will be able to adapt to rapid climate change. “Pikas in some areas live in micro-climates at lower elevations like lava beds and ice caves. There are always exceptions to the rule,” she said. Isolated pika populations on mountains, though, seem to be declining. Watch a short YouTube video about pikas to learn more, hear its calls and see this animal in action.